Why is it so hard to talk about bladder control? You may feel embarrassed to talk about such a personal thing. Or, like many women, you may feel ashamed about loss of bladder control. But when you learn it’s a medical problem, you know it’s not your fault. Millions of other women have the same problem. Your health care team can help you. Nearly everyone with a bladder control problem can be helped. How can you tell your doctor about a bladder control problem? Even if you feel shy, it is up to you to take the first step. Some doctors don’t treat bladder control problems, so they don’t ask about it. Others might expect you to bring up the subject. Because bladder control problems are common, your doctor has probably heard many stories like yours. If your doctor does not treat bladder problems, ask for help finding someone who can help you. The good news is that most women with bladder control problems can get better, with the help of their health care team. These questions can help your health care team find the cause of your bladder control problem. Could my usual food or drinks cause bladder problems? Could my medicines (prescription or over-the-counter drugs) cause bladder problems? Can you help me, or can you tell me whom I should see instead? What information should you bring to your doctor? Before going to see your doctor, print out the following form and answer the questions. Check off the statements that apply to you. Fill in dates and other information. Show this form to your doctor at your next visit. What your doctor needs to know? If you take more medicines, please list them on a separate paper. □ My periods have stopped (menopause). □ I recently had an operation. □ I recently hurt myself or have been sick. □ I recently had a bladder (urinary tract) infection. □ I am often constipated. □ I have pain or a burning feeling when I go to the toilet. □ I often have a really strong urge to go to the toilet right away. □ Sometimes my bladder feels full, even after I go to the toilet. □ I go to the toilet often, but very little urine comes out. □ I don’t go out with friends or family because I worry about leaking urine. □ The first thing I do at new places is check the bathroom location. □ I worry about being put in a nursing home because of bladder control problems. Treatment usually works. 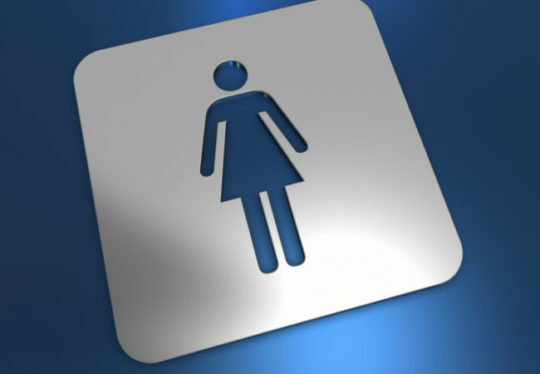 Many women greatly improve their bladder control. Regaining control helps women enjoy healthier and happier lives. Bladder control problems can be caused by many medical conditions. Most bladder control problems can be improved. Your health care team can help you improve your bladder control. Getting over your embarrassment is important. You need to get treatment.